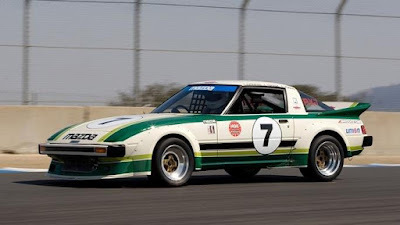 Mazda North American Operations (MNAO) has announced its lineup for the Japanese Classic Car Show (JCCS) in Long Beach, California, September 24, including four of seven vehicles making their first-time appearances at the largest vintage Japanese car show in the U.S. This year’s theme for Mazda is twofold, representing “History of Mazda Premium” and racing successes of the past with a particular focus on the 25th anniversary of Mazda’s 24 Hours of Le Mans overall win and the life of Mazda factory driver Yoshimi Katayama, whose career spanned four decades with Mazda, both as a racer and development driver. Katayama, who was vital to Mazda’s Le Mans efforts, passed away on March 26 this year. At JCCS, MNAO will have a 1979 RX-7 IMSA GTU racecar that was used as a development vehicle and backup. It was never raced competitively, but it bears Katayama’s name above its driver-side door. The No. 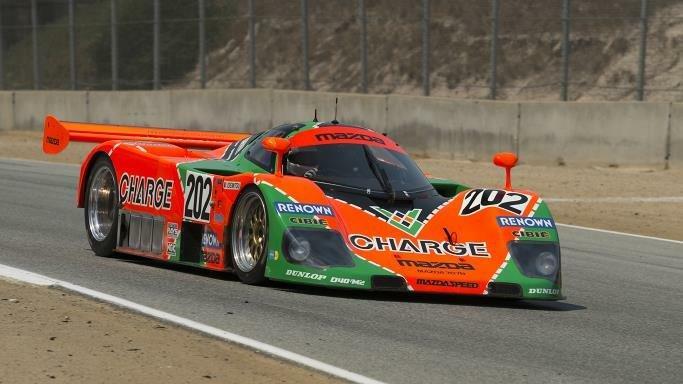 202 Mazda 767B Group C Le Mans prototype will also be on-hand, making its JCCS debut. 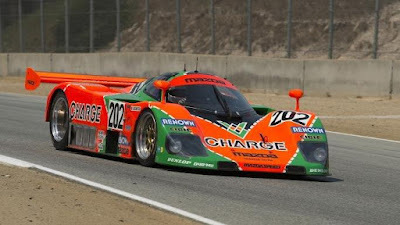 Painted in its original Charge Renown livery, this car placed ninth at the 1989 24 Hours of Le Mans and recently made its first trip to the Rolex Monterey Motorsports Reunion, where it was driven by MNAO Design Manager Ken Saward. Katayama drove it in four races in Japan between 1989 and 1990, retiring just shy of when its successor, an orange and green 787B, would become the first— and so far only—Japanese car to win Le Mans outright. Following those two cars, Mazda’s display will focus on what the company calls “Mazda Premium,” a guiding principle of craftsmanship and quality that can be found throughout Mazda’s current SKYACTIV-generation vehicles. What may be surprising to some is that upscale aesthetics in Mazda vehicles have been part of the company’s ethos for decades. 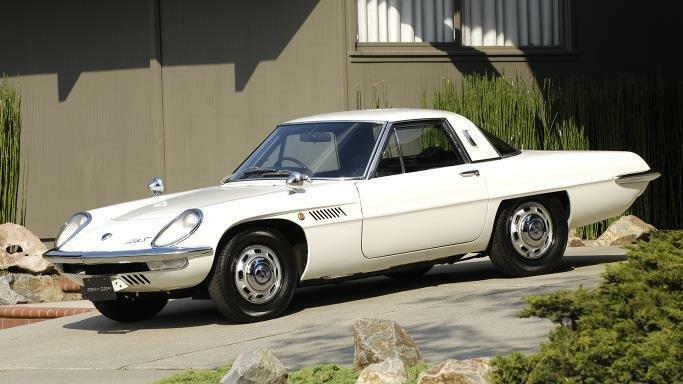 This is demonstrated in vehicles such as the 1967 Cosmo Sport 110S, a JCCS stalwart and luxury sports coupe that was also Mazda’s first foray into rotary engines for production applications. The Cosmo line lived on in Japan until 1995, where it was positioned in price and prestige above the RX-7 of the day. Badged as a Eunos, Mazda’s sporting sub-brand, the Cosmo MNAO owns is powered by a twin-turbocharged, three-rotor engine that makes 280 horsepower. 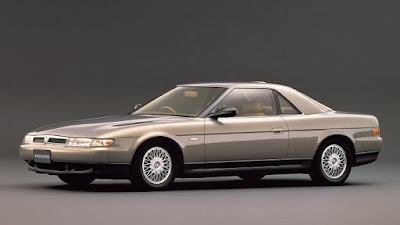 At one point, the Eunos Cosmo was intended to be badged as an Amati in the U.S. to compete against other Japanese luxury brands. Another car that was supposed to lend its chassis to the Amati brand was the 929, which will be making its JCCS debut as well. The 1992 Mazda 929 is being brought to Long Beach from Irvine, where it has spent the last 20 years hidden in the back of Mazda’s Heritage Collection basement. Believed to have been used for advertising shoots, this 929 recently underwent a restoration to return it to running condition again. 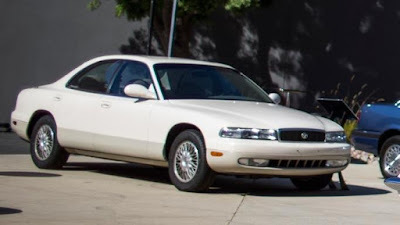 In 1992, it sold new for $27,800, or almost $50,000 in today’s dollars. Along with the historic cars, the 2016 CX-9 Signature midsize crossover SUV joins Mazda’s lineup for JCCS, powered by a newly turbocharged, 2.5-liter SKYACTIV engine and comes with Auburn Nappa leather, aluminum accents influenced by the designs of Japanese katana swords and rosewood sourced from Japanese guitar-maker Fujigen. 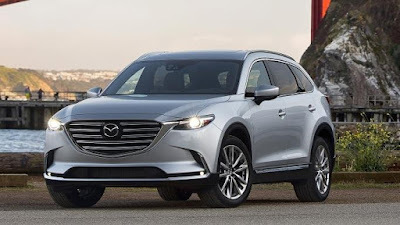 The second-generation CX-9 went on sale in the U.S. in May and features many Mazda and industry firsts, including its innovative Dynamic Pressure Turbocharger system, predictive i-ACTIV all-wheel drive and standard LED headlights and tail lights, a class-exclusive feature. 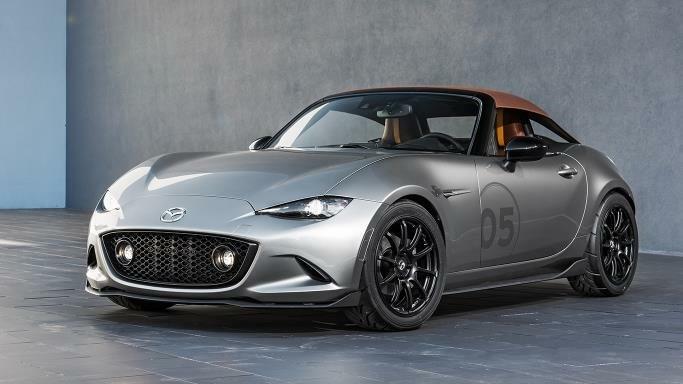 Capping the cars on-hand will be the 2016 Mazda MX-5 Miata Spyder concept that was one of the stars of the 2015 SEMA Show in Las Vegas. Adorned with a bespoke leather interior and painted Mercury Silver, MX-5 Spyder was introduced as one of two takes on lightweight design and engineering and previewed a color combination similar to what will be available on the 2017 MX-5 RF Launch Edition. For more information on JCCS: www.japaneseclassiccarshow.com.